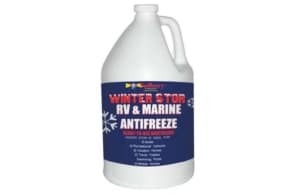 Freeze protection down to -100º F / -73.3º C; contains corrosion inhibitors. 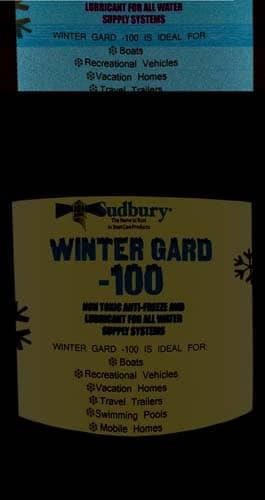 Winter Gard -100 is a non-toxic antifreeze that contains corrosion inhibitors to protect marine engines during winter storage and protect fresh water systems from expensive damage by inhibiting fouling, corrosion, and algae growth. 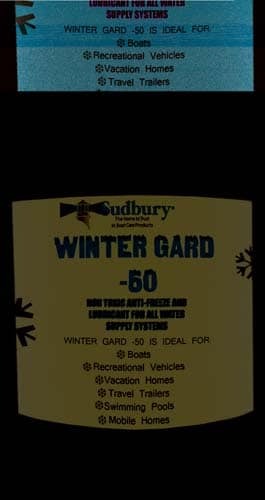 Lubricates pumps and valves throughout your boat. Propylene glycol-based antifreeze is formulated to protect down to -100º F / -73.3º C even though some slush/semi-solid formation is normal. Use full strength no mixing required. Freeze Protection to -100º F / -73.3º C.